Fast rising Gospel singer, Abiodun Yomisola Elizabeth releases new single titled “Feranmi”. Hails from Ondo state. Her debut single Olulana was released 2years ago which she featured Pastor Yomi Isaac, the song has been a blessing to the world at large. Speaking on the song she said “Feranmi was inspired by the Holy Spirit while in a program thinking of His goodness and love over the whole world at large… I see indeed He love us that’s why we are still here on earth when some are nowhere to be found”. 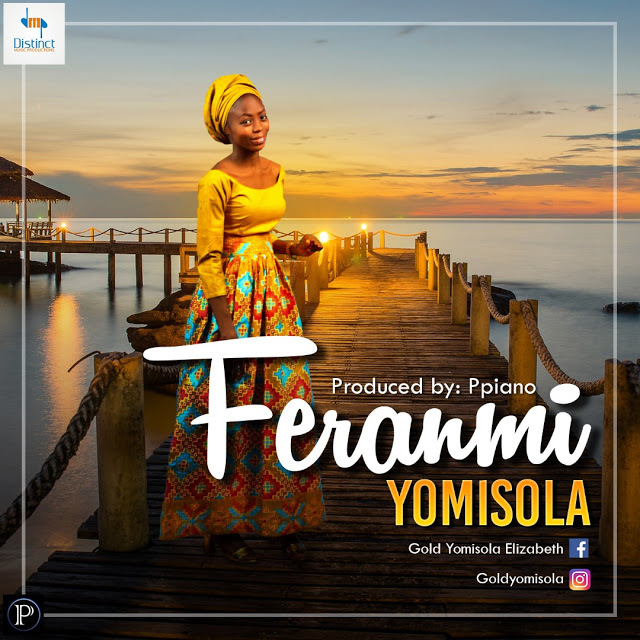 Feranmi was beautifuly produced by ace Gospel music producer, Adeniji Peter (Ppiano) for Distinct Music Productions.